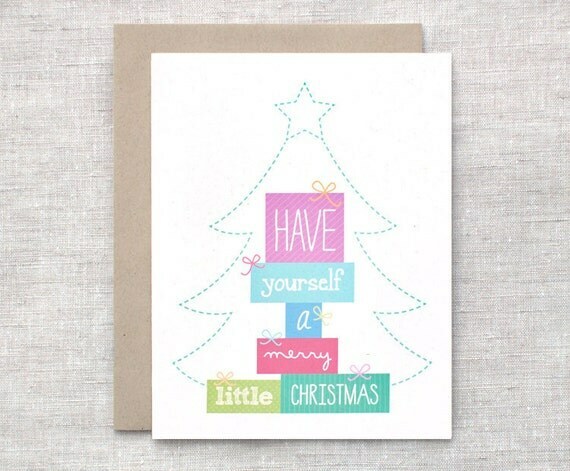 These holiday cards have six adorable stacked gift boxes in shades of purple, aqua, blue, red, lime green and mint green with the words "Have yourself a merry little Christmas" in different handwritten fonts. Stripes and polka dot patterns. In the background is a stitched Christmas tree with star at the very top in a light teal green. Ecofriendly, 100% Recycled. Folksy :: Buy "Coat Peg - Fairy Castle - Lilac and Pink"